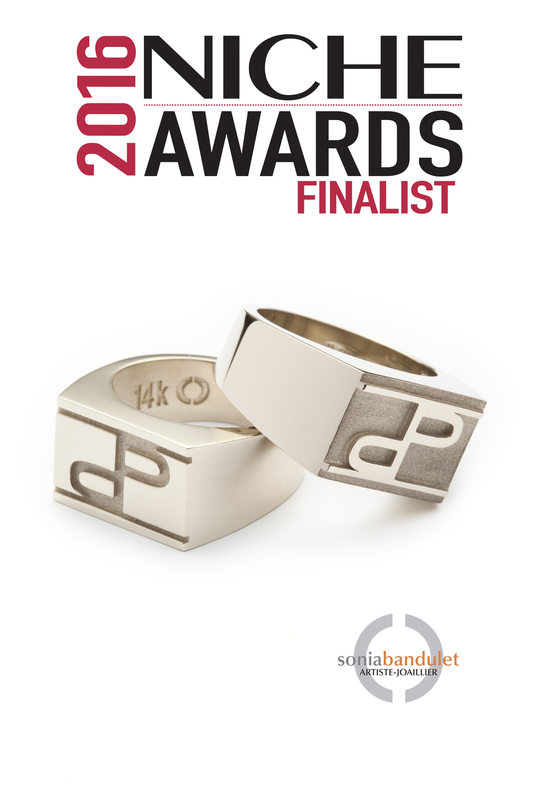 As seen in different publications, Jewellery Nominations, Artistic Statement for Sonia Bandulet. 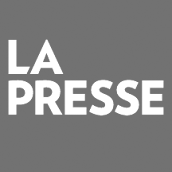 Award-winner jewellery artist Sonia Bandulet designs and handcrafts all of her jewellery in her Montreal-based studio since 2005. She has been a member of The Quebec Craft Council from the beginning of her career. Her "designed by a woman for women" approach offers the distinct advantage of being able to better identify and respond to her clients' needs, namely by wearing each new piece herself, then making any necessary adjustment before launching to market. Materials such as sterling silver and gold are used for their durability, but most of all for their beauty. Her pieces are contemporary yet timeless with a sleek design and are made with great care and craftsmanship. They are designed to make every woman feel beautiful, confident and effortlessly stylish. My inspiration is derived from simple everyday objects and is strongly influenced by the straight lines of architecture. It is the lines that are traced that form the basis of my creations, as well as the materials that I use coming from nature or from a variety of man-made sources. I feel that beauty is found in the small details of our daily lives. The personality should never be overpowered by clothing, hair or jewellery; rather it should accentuate and reveal the wearer. My jewellery worn by New York’s singer-songwriter Kelly Padrick in her music Video ‘‘ Waiting for This’’. The BLACK SHEEP brooch won 2nd Place at the 2018 Schmuck Awards in the Pearl Category of the prestigious German Schmuck Magazin. For the second year in a row, I am a finalist in two categories at the 2016 NICHE Awards, a competition that began in 1989 to celebrate excellence and innovation in American and Canadian fine craft. Each year, a prestigious panel of judges is selected by the editors of NICHE magazine, including gallery owners, guild and museum directors, curators, craft industry experts and arts advocates to select the top five finalists in each category amongst nearly 2,000 entries. Here are my nominated pieces in the "Wedding" 2015 and 2016 and the "Silver" and "Alternative Materials" categories. Sign up with your email address to get the scoop on promotions, exclusive VIP members offers, new products, exhibits and more.